Plenty of privacy and peacefulness found here in this well-maintained four-bedroom, three-bath contemporary, and spacious design surrounded with over 16 wooded acres. Desirable features include a large formal dining room and eat-in kitchen, two stone fireplaces, cathedral ceilings and a wet bar. 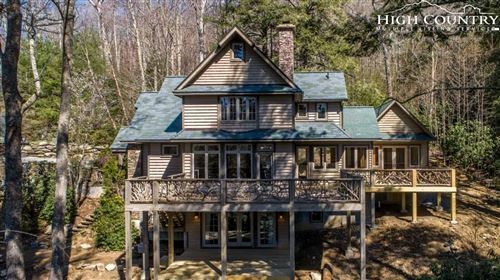 With a serene backdrop of the picturesque North Carolina mountains, easy year-round access, and a very convenient drive from town, this property is full of potential and a rare find. Seller is open to dividing the acreage if a buyer would so desire.